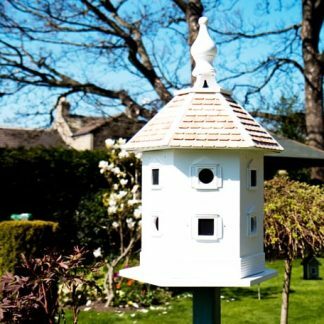 Dovecotes are specially designed structures intended to house pigeons or doves. 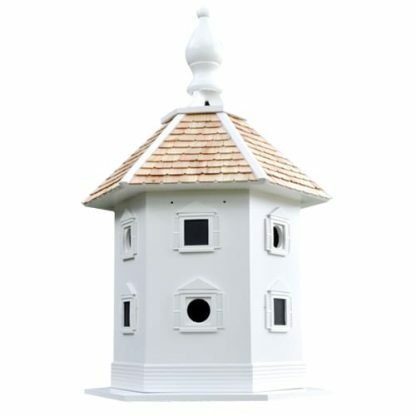 Throughout history the possession of a dovecote has been a traditional symbol of status and power. 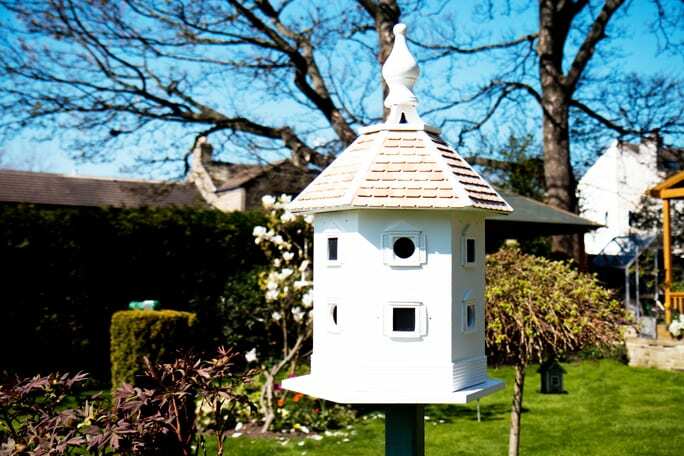 In Medieval Europe only nobles had the right to own dovecotes but today our adaptation of an English dovecote can become the focal point of your garden. 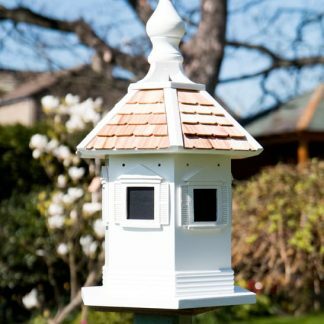 The fully functional six sided birdhouse is divided into six separate compartments with a removable base for cleaning. A 1 5/8″ hole size and a pine shingled roof complete the design. Size: 76.2cm H x 48.2cm W x 42cm D.